The Italian noble residence of Villa Pieve in Corciano was built up during the 1800 over a XV century catholic chapel, still perfectly conserved inside of the building. 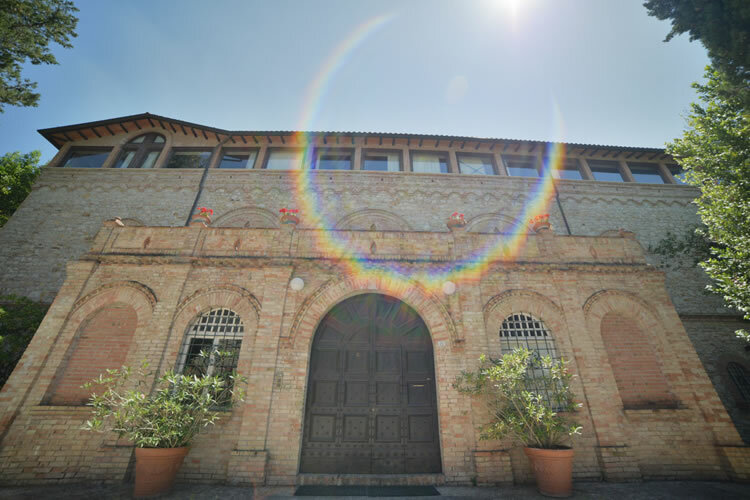 A place of excellence for tradition, this residence has been for centuries a historical center of encounters and receptions, from Pope Leone XIII, to the Counts Laura di Montesperelli and Lanciotto Rossi, that have inhabited the Villa Pieve in 1800. 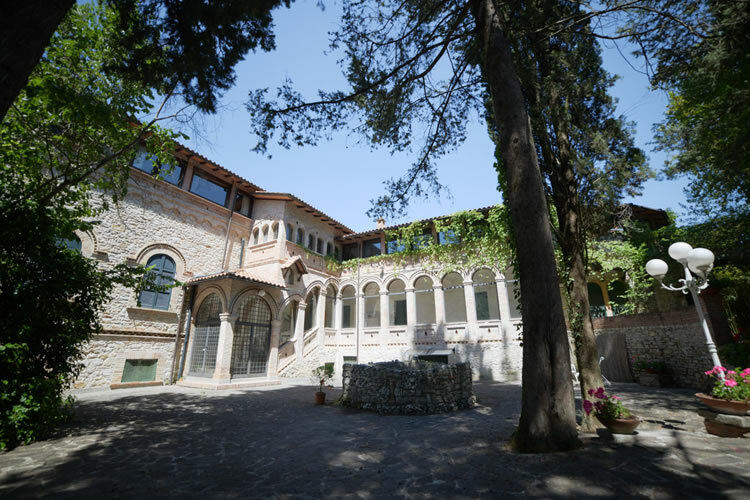 Situated in the Umbrian hills in front of the Pieve Castle, Villa Pieve enjoys the most privileged view of the ancient fortress, the green valley and the medieval town of Corciano, providing a historical and inspirational atmosphere. Built in 1400's, the little Church called "Pieve" was restored and refined in the 1800's under the direction of Nazzareno Biscarini, famous Perugian architect. 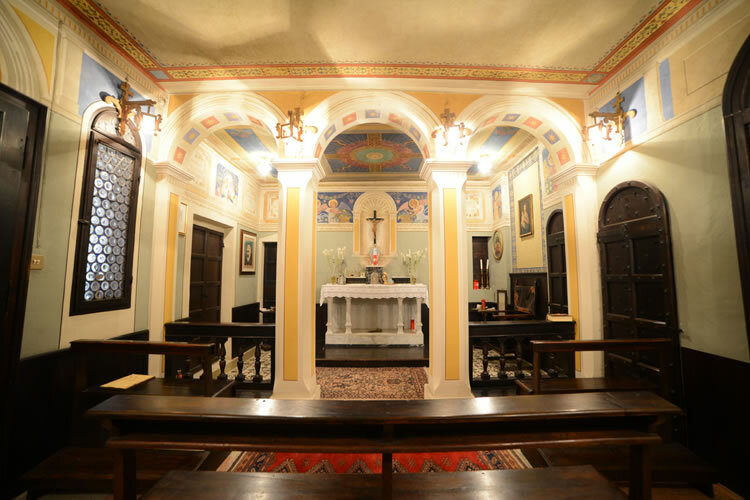 Today the Pieve Chapel is still perfectly conserved inside of the Villa Pieve. It is a small, sacred jewel, of a secluted atmosfere further enhanced with antique furnitures and centuries old frescoes. Nowadays Villa Pieve is perfectly conserved how it was, both outside and inside. It is completely frescoed and it has the original noble multicolor flooring. Only antique fornitures and precious objects furnished the Villa Pieve, rich in noble antique salons that convey old Italian luxurious times.